The Grand Rapids Pops will rock you at the 2016 Picnic Pops. New experiences and new sounds, including a tribute to the rock group Queen, are part of the 2016 D&W Fresh Market Picnic Pops season. 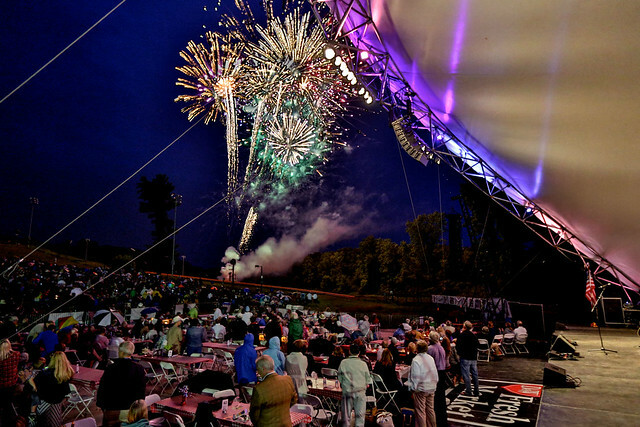 But old standbys, including one of West Michigan’s best fireworks shows of the summer, also returns in July for the Grand Rapids Symphony’s 22nd annual summer series that welcomes the music of the Beach Boys back to the great outdoors of Cannonsburg Ski Area. Today, your Grand Rapids Symphony unveils the three-concert season of shows happening on Thursday and Friday evenings. Two more special-event, one-night-only shows in early August will be announced soon. Single tickets plus series tickets and flexpasses, offering substantial discounts, over single-ticket prices, all are on sale today. Save up to 28 percent with a 3-Concert Series subscription or save up to 17 percent with a 6-ticket Flexpass. Go online to the Grand Rapids Symphony's website for more information. 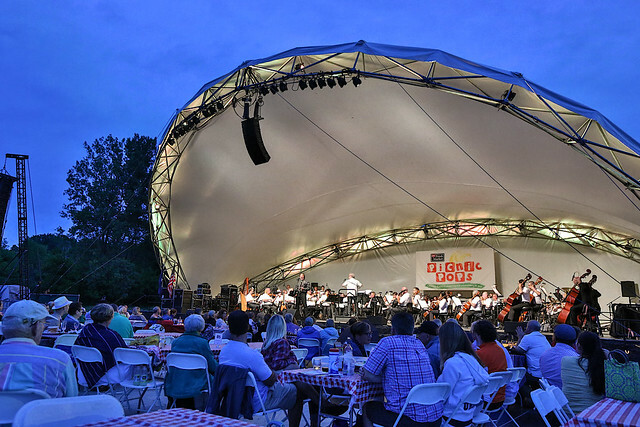 “Wagner, Beethoven and Grieg were great film composers – and didn’t know it,” said Bernhardt who made his Picnic Pops debut last summer at Cannonsburg. Popular orchestral favorites from movies, such as Richard Wagner’s Ride of the Valkyries, which is heard in films including Apocalypse Now, Full Metal Jacket, and What’s Opera, Doc, are part of the show. “It’s almost all music not originally for film but for the concert stage,” Bernhardt said. Two exceptions include music from Harry Potter and the Sorcerer’s Stone and E.T. The Extra Terrestrial, which were composed for film. Next season, the Grand Rapids Symphony will screen both films in their entirety, accompanied by live music, during the 2016-17 season indoors in DeVos Performance Hall. Tchaikovsky’s stirring 1812 Overture, heard in many films but featured prominently in the 2006 film V for Vendetta, closes each night’s Picnic Pops concert with a pyrotechnic display. Benefactor sponsors include TerryTown RV, Kennari Consulting and Chemical Bank for the concerts including the second movement of Beethoven’s Seventh Symphony, featured prominently in The King’s Speech, in the climactic scene in which King George VI addresses the nation on radio that the United Kingdom is at war with Nazi Germany. “Every concert needs moments of reflection,” said Bernhardt, who returns for his second D&W Fresh Market Picnic Pops season with the Grand Rapids Symphony. The 2016 D&W Fresh Market Picnic Pops continues July 21-22 at 7:30 p.m. with We will Rock You! The Music of Queen. Special guests Jeans ‘n Classics return to Grand Rapids for such hit music as Bohemian Rhapsody, Another One Bites the Dust, You’re My Best Friend, and We Are the Champions led by associate conductor John Varineau. The Canadian rock group appeared previously with the Grand Rapids Symphony in a tribute to the music of Elton John in 2010 and in a salute to songs from the James Bond series of films in 2009. Led by guitarist and arranger Peter Brennan, Jeans ‘n Classics is back with a new show with songs made famous by the glam rock band of the 1970s and 1980s. Benefactor sponsors are Mercy Health – St. Mary’s and Universal Forest Products. The three-concert season ends July 28-29 at 7:30 p.m. with The Music of the Beach Boys featuring the veteran surf rock band Papa Doo Run Run, which was at Cannonsburg in July 2011 for the Grand Rapids Pops summer season. Launched in the 1960s in Cupertino, California, Papa Doo Run Run toured behind Jan & Dean and spent 15 years as the celebrity house band at Disneyland. The group earned a Top 40 hit with their cover of Be True to Your School, plus a Gold Record and Grammy Award nomination for the 1985 recording, California Project. Several members of the group have toured and recorded with Brian Wilson and with other incarnations of the Beach Boys. Miller Johnson and Mary Free Bed are benefactor sponsors for Papa Doo Run run’s return to West Michigan. Gates at Cannonsburg Ski Area open at 5:45 p.m. each night for picnicking and pre-concert entertainment, including free, kid-friendly activities such as face painting, crafts, and a musical instrument petting zoo. Pack your own picnic baskets and coolers or purchase food from the grill at the Cannonsburg concession stand. Alcoholic beverages are permitted on the grounds, and parking is free for concertgoers. We’ll see you soon at Cannonsburg.